Hello fellow Residents and Wickeds! A new Alpha Week is here, and we have a lot of improvements to share with you! The Alpha week will start on Sunday the 24th of June at 6PM CEST and end on the 1st of July at 8 PM CEST on STEAM. Here's what we have for you this time! Some hair, facial hair and skin tones are also available for testing now! Please keep in mind that characters are not persistent yet, meaning that they do not save yet! More customization items may also be added during the Alpha week! This new under-development map is part of the tests as well. Of course this map is also very early work in progress. 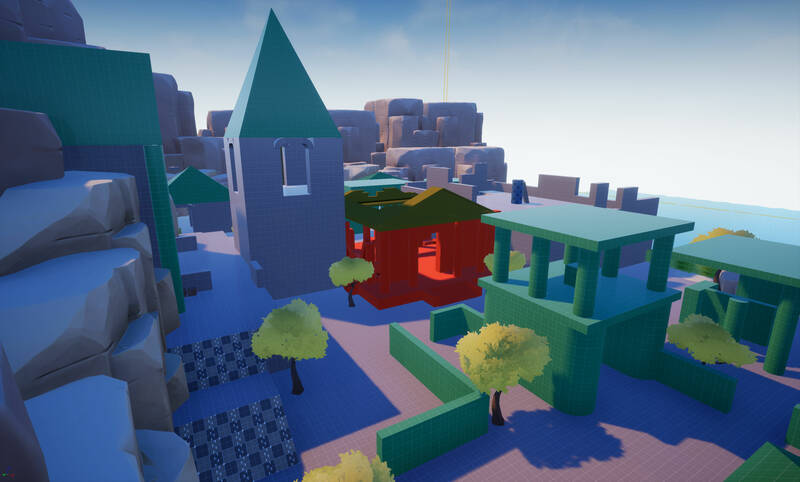 If you think the colors and textures are weird, or that the map is too white, don't worry, it's only a blockout, meaning that everything from building to textures are placeholders and will be replaced by actual buildings and textures later on! Please also remember that this is just a map blockout, so we really appreciate your thoughts on how you enjoy (or not!) this map (besides looks)! How does the map feel? Does it feel properly balanced? etc. Click on the image for a full list of changes! Don't forget to join us for our livestream on Twitch at 6PM CEST, to join our Discord server and follow us on our other social media accounts! You can ask questions, chat with us and post feedback there! Great work, how do i start the game on steam with my account BroSafari? When you redeem your Steam key on Steam, you should have the game automatically added to your library. Just launch it from there. Looks nice, keep up the good work.